On the penultimate day of Srivari Salakatla Brahmotsavam, on the eighth day, the Malayapaswamy along with His consorts is seated on a high pedestal throne and is taken on a procession around the four- mada streets on a wooden chariot which is over 35- feet tall. 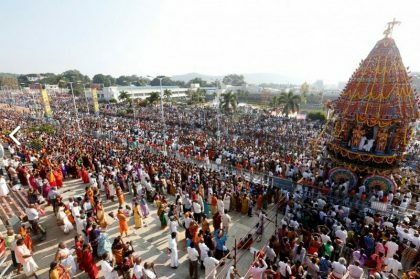 The Rathotsavam festival is a highly emotional event known for the flow of bhakti sangeet, keertans, bhajans and full pitched rendering by the devotees who accompany the procession of the deity. 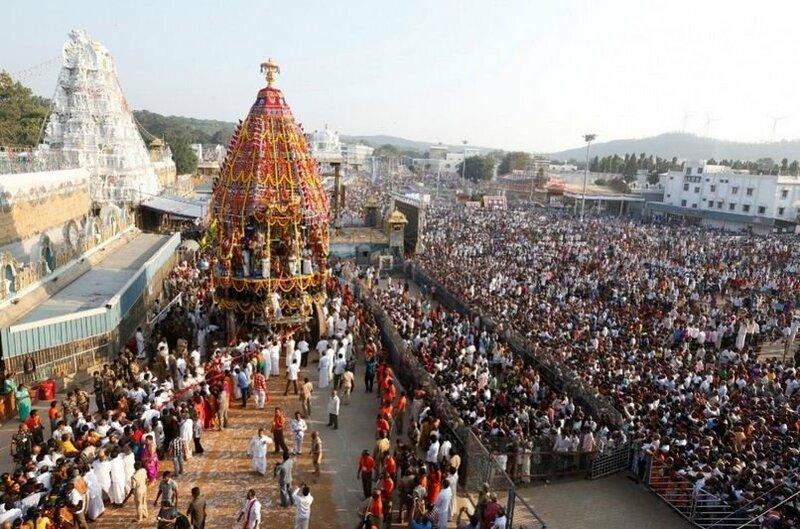 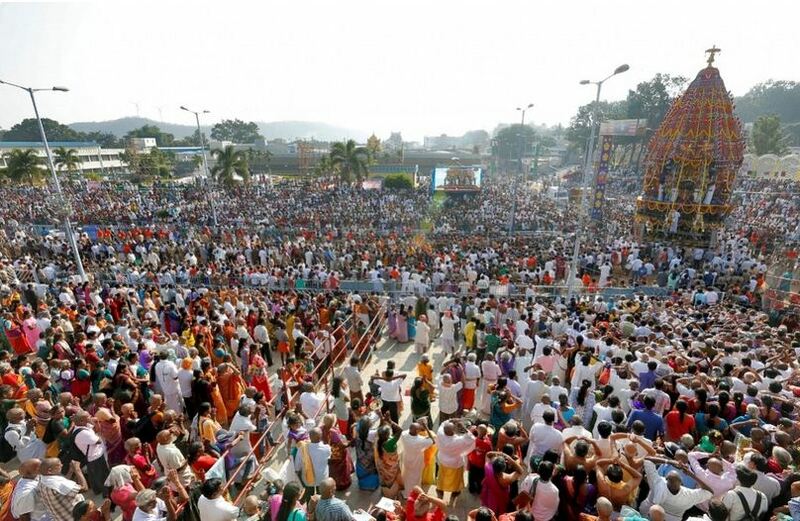 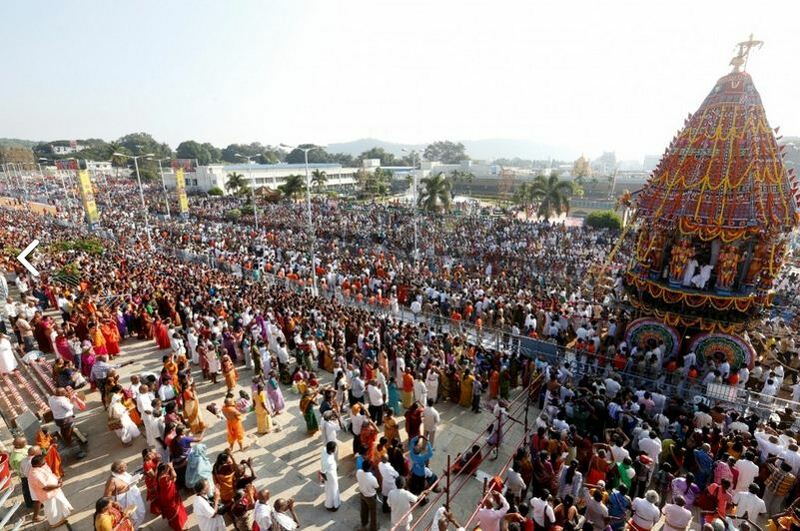 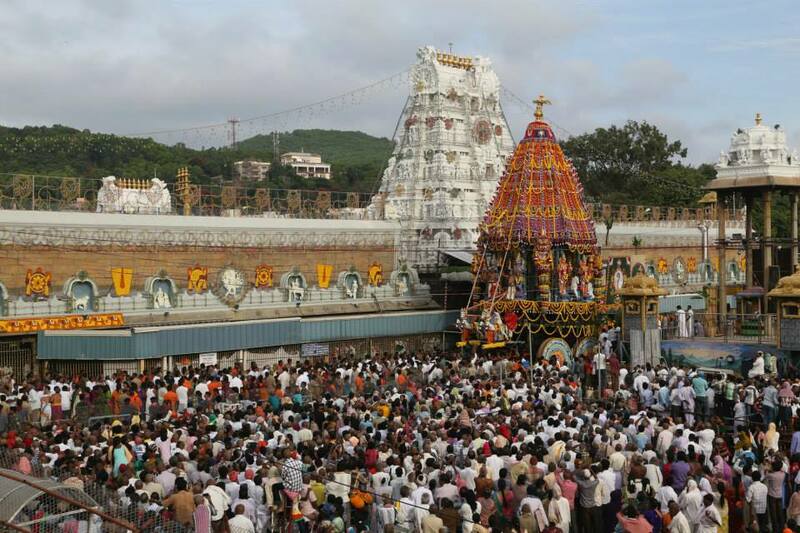 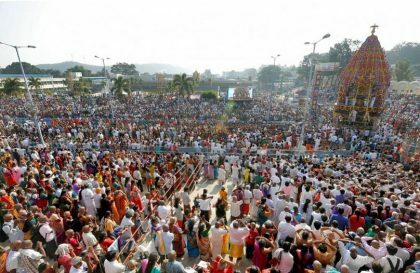 The Rathotsavam of Tirumala is ignificant for its salient features. 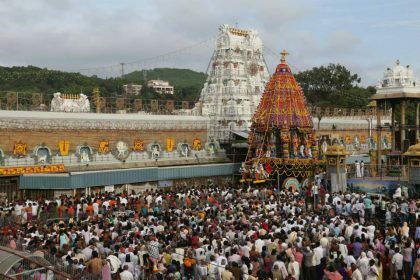 It is dragged by devotees and temple staff with the help of secure four inch thick jute ropes all along the thiru mada streets surrounding the temple shrine. 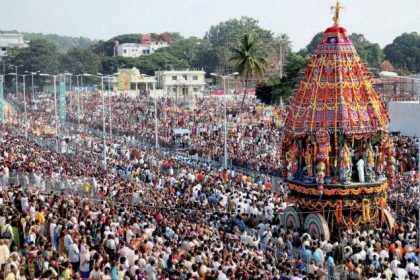 The Rathotsavam has a special spiritual message embedded in the Kathopanishad which compared it to blending of the soul with the body.The saint poet Annamacharya says that divine being that was an embodiment of all living things, was thus dragging his own chariot.